Belgium has many Chatroulette, webcam chat and text chat sites. We are going to introduce you some of these chat sites. I hope it’s going to be useful for you and you will able to find many online Belgian partners in these sites. Some sites may be for 18 age at the least or for higher ages. We recommend you to read privacy and policy of those website before entering them. Belgium has a few chatroulette sites and you will able to meet people on these sites. You are going to find people outside of the country too. We hope you are going to find whatever you are seeking for in these sites. We are going to introduce Video Chat sites in here too. You can find websites with webcam chat feature below. Roulette Chat is a good site for Webcam Chat. You may use this site in French, Spanish, English and Arabic. I recommend you to stay in Belgium version, other language options will redirect you to another web page. You can’t begin to chat if you don’t have any camera. So you should enable your camera (if you have one) before you start to chat. Buttons are in French language but you can translate them easily in Google Translator. If you are used to chat in such sites, you don’t even need that. I suggest you to try this chatroulette site. Another webcam chat site. The name of site shouldn’t deceive you because it’s not a chatroulette site. When you enter to chat you just go in a chat room and you start to chat with Belgian partners. If they accept you video chat offer you can chat with them with your camera. There are always a few online members in site and there are also some girls from Belgium too. A French site which provides Video chat their users. There are millions of users in this site. They are generally people who prefers to speak French language. A registration is required for this site. I recommend you to not to enter here if you don’t know French. I should admit that it’s the one of the best video chat sites with a social networking system. 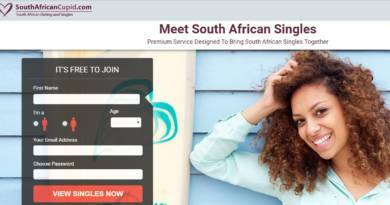 This site is not a chatroulette site but it’s still very quality site and the site doesn’t accept visitors from some foreign countries. So it will be advantage for you if you ever want to find a Belgian partner. There are many online girls and men in this webcam chat site. We are going to introduce you some Belgian text chat sites for you. There are no video chat in these sites. So no worries if you don’t want to use cameras in chat sites. You are going to use only texts while you are chatting these chat rooms. You will able to find many Belgian Partner in these sites. Adosbox has an IRC server and it’s easy to use. No need to register this site. You will just enter your age and a nickname before you enter to chat. You will automatically join a few IRC chat rooms and you can begin to chat anymore! This site and chat server is completely in French language and there are many online users here. A chat room for only Belgians. It’s a text chat based site and easy to use. Only language is French and you don’t need to register this site! It is a trustworthy website that you can make friends and talk to your partners in French language. It is free to use and it is a quite safe chat website. We have introduce you some sites. If you want to add any sites, you may let us know with commenting. Thanks. I would like to chat with Belgian people on a text chat site. Is there any good Belgian text chat site? Hello gilberto, you can also use mimichat as we have mentioned in our list. These websites are quite nice. Thank you for suggestions. Hello, I am from Nigerian and playing soccer in Belgium. I want to date with African girls who are living in Belgium. It’s the best chatroulette site offers which I have seen. Thanks. You have wrote a good tips here. Thank you for helping for sites. It helped me a lot. I have tried some of thse chat sites but I think Bazoocam is better then them. Because it includes more people. I believe local chat sites are always poor. Worldwide ones are always better. Chatroulette be is not very good. 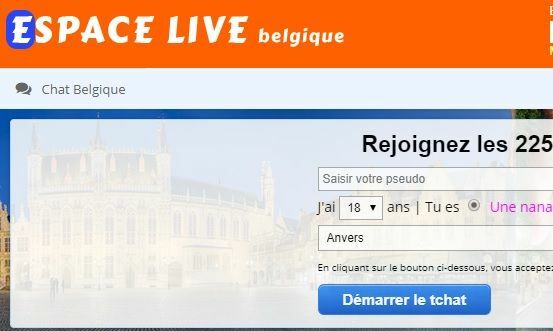 There’s also belgische chatroulette sites. You can check them on internet. I was looking for a chatroulette site of Belgium and I have found your site. I am looking for a guy from Belgium. I am Algerian girl and I will soon move to Belgium. roulette chat be is my fave. I wish they had a chatroulette system. Any belgian girl want to date with me? I have used these sites and I believe they are not more than average. If you want to meet with Belgian girls you should try Omegle first. Hello I am from Italy, are there any Spanish sites like this? Belgian girls love to chat on French sites. It’s hard to find them on English sites. Any of you interested to date me? Nice post and nice sites. Thanks. Somehow I needed to chat with Belgians and your article helped me. I would like to meet with Arabic girls from Belgium. I will appreciate your useful information. I believe you will mention about more information very soon. Hello, I am Jordan and I am living in USA. I am going to go to Belgium next year for study. I want to chat with Belgium guys. Hello I am a Russian Girl from Antwerp. Seeking other Russians in Belgium. I live in Oregon and I will come to Belgium in August for holiday. I am just curious if any Belgium girl wants to date with me? I just would like to thank you because of this useful information. I have found many Belgian girls with this article. Good luck and nice blog. Hello there are alternative sites for Belgium chatroulette. All the same good post. Thanks. Belgium chat roulette sites are generally annoying and empty, I would prefer to chat on skype instead of these sites. You also gave many information about Omegle girls. Thank you very much. Thank you for suggesting these sites. I haven’t tried them yet but I was seeking for Belgian chatroulette sites for years. Very useful information. I am going to try a few of them now. I am the owner of Islamic Chat room sites. I believe this article will be useful for anyone. Thanks. I am from turkey and I was trying to learn about belgian chat sites. I was seeking for Belgian Chat Roulette site for a while. The sites you have recommended are awesome! good work!